Lithium batteries stand apart from other batteries in their high charge density (long life) and high cost per unit. What are the major differences between the battery you are familiar with, the Lithium Ion (LiCoO2) and the new kid on the block, Lithium Iron (LiFePO4)? The distinction between lithium, lithium ion and the other varieties of lithium packs is the kind of electrolyte used. Their primary advantages are the energy density and faster charge/discharge times compared to the nickel based batteries historically used. Popular for phones, PC’s etc. A lithium-iron battery is also a rechargeable type of battery but made with lithium iron phosphate (LiFePO4) as the cathode material. While lithium-iron is a newer version in the lithium battery family, its anodes are also made up of carbon in batteries. Phosphate based technology possesses superior thermal and chemical stability which provides better safety characteristics than those of Lithium-ion technology made with other cathode materials. Lithium phosphate cells are incombustible in the event of mishandling during charge or discharge, they are more stable under overcharge or short circuit conditions and they can withstand high temperatures without decomposing. 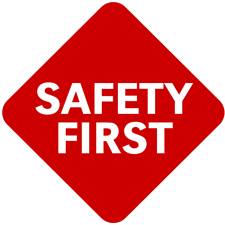 When abuse does occur, the phosphate based cathode material will not burn and is not prone to thermal runaway. Phosphate chemistry also offers a longer cycle life. 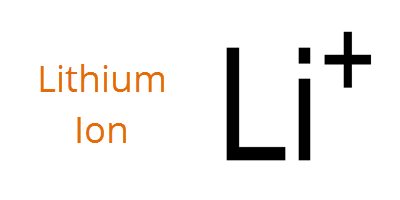 The lithium-iron (LiFePo4) battery has a slight edge over the Li-ion (LiCoO2) battery for safety. This is important because a battery should not get overheated or catch fire in case of overcharging. The lithium-iron battery has superior chemical and thermal stability. A Lithium-iron battery remains cool at room temperature while the Li-ion may suffer thermal runaway and heats up faster under similar charging conditions. LiFePO4 is a nontoxic material, but LiCoO2 is hazardous in nature, so is not considered a safe material. Disposal of Li-ion battery is a big concern for the manufacturer and user. . Performance is a major criteria to choose a suitable battery for an application. Lithium iron batteries are slightly heavier and more bulky in size than lithium ion batteries. For this reason Li-iron is more commonly used for portable devices. A brand new Li-ion battery has more energy density than a lithium-iron battery and thus delivers better performance for a few initial days. Battery life is defined by the number of charge/discharge cycles a battery can survive. Some testing has shown that lithium iron phosphate batteries can last about 2,000 charge/discharge cycles, compared to perhaps 1,000 for lithium ion batteries. These tests go to the point where the batteries hold noticeably less charge, rather than testing to a point of utter failure. The primary problem with lithium cells is their degradation. Over time a lithium ion cell will lose capacity, with a total lifetime of 2-3 years. The exact lifetime is a function of the amount of use, the amount discharged between recharging, and other factors such as the temperature of the cells. Note: The discharge rate of a Li-ion battery keeps increasing over the time as compared to Li-iron. Long life, slow discharge rate and less weight should be basic features of a daily use battery which is when a lithium iron battery is appreciated as it is expected to have a longer “shelf life” than a Li-ion. When not in use, a battery should not lose its charge at a faster rate. It should deliver almost same performance if using after a year or so. This so called shelf life is around 350 days for lithium-iron and about 300 days for a lithium-ion battery. 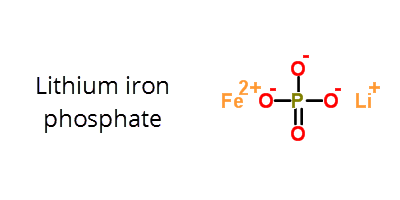 Cobalt is more expensive than the iron and phosphate used in Li-iron. So the lithium-iron phosphate battery costs less (safer materials make it less expensive to manufacture and to recycle) to the consumer than the lithium-ion battery. To give your business these advantages, our R&D department has developed a new power supply which is more stable, reliable and is eco-friendly built with lithium iron phosphate (LiFePO4). We are getting ready to launch. Would you like to know more? It is a revolutionary new power system for the warehouse, distribution center and manufacturing plant. Sign-up here to be the first to know when the previews, product availability and first test client testimonials are available. 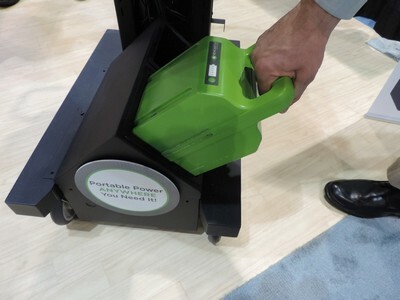 We'll soon be unveiling our new Lithium-based Power System that will radically change the way you bring your portable power into the workplace.